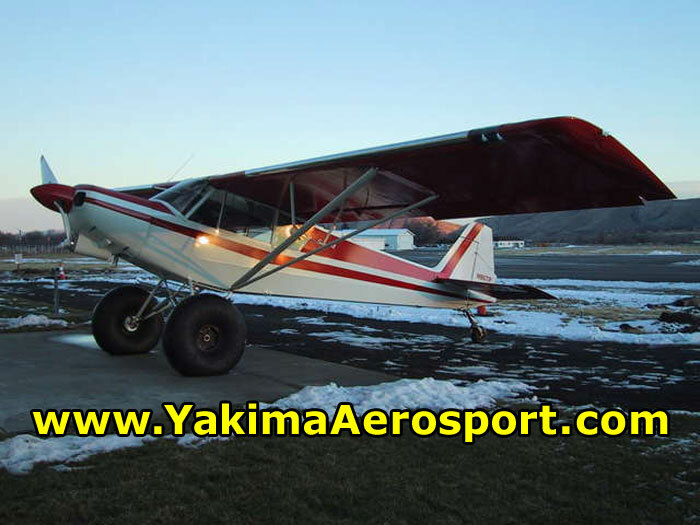 The Super 18 Turbo Cub is without question the most complex Super Cub in the world! Building it was not simple mix-and-match process. A significant amount of thought, planning, engineering, blood, sweat, and tears are what made it all possible. The end result was all worth it because the Super 18 Turbo Cub has the ability to fly higher and faster with more payload and cargo space than any other Super Cub. 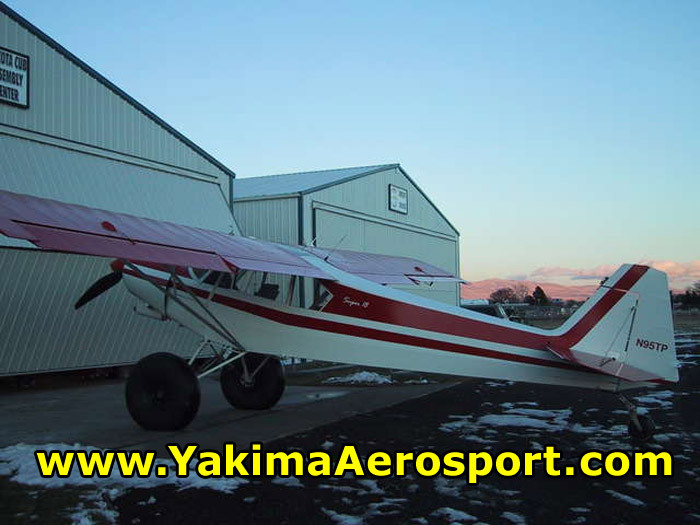 We started out with a wide body fuselage from Airframes Alaska and a slotted wing from Dakota Cub. Maximum horsepower and thrust were the next items on our list and we’re proud of how we accomplished that. We took an Aero Sport Power (Superior) IO-360-C1A engine and then turbocharged it with a Garrett turbocharger (making it a TIO-360-C1A). 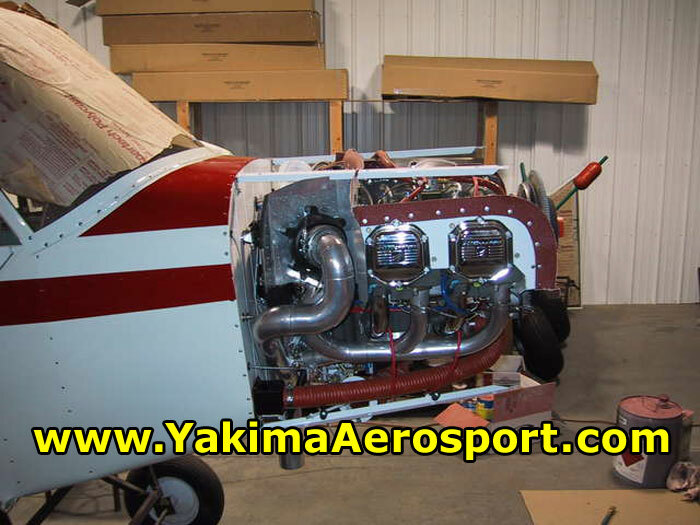 The engine was then installed with the Alaska, LLC ThrustLine mod. Not stopping there, we sent all that power through a MT-Propeller constant speed prop. 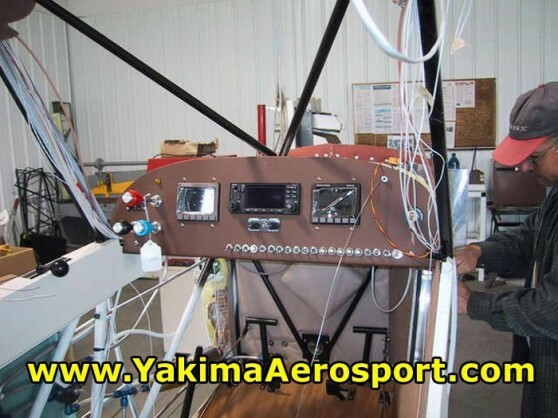 The results for short take-off and steep climb were amazing and because of the turbo, the engine can reach full power at altitude. FL190 is now a reality with the Super 18 Turbo Cub. Needless to say, the crew at Yakima Aerosport were thrilled with their accomplishment and we’ve received only the highest praises for the quality of work and attention to detail that made it all possible. 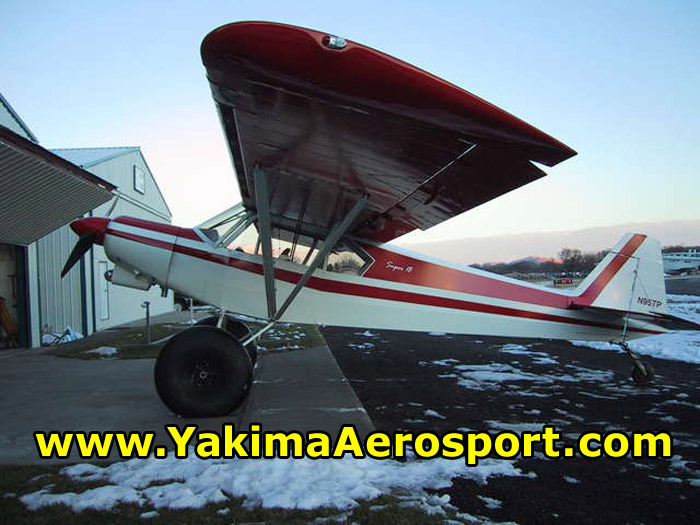 If you’ve been interested in becoming one of the elite Super 18 Turbo Cub owners, then please contact us to discuss your needs.